We customise equipment for and design showrooms to suit your company. No task is impossible. We find a solution. 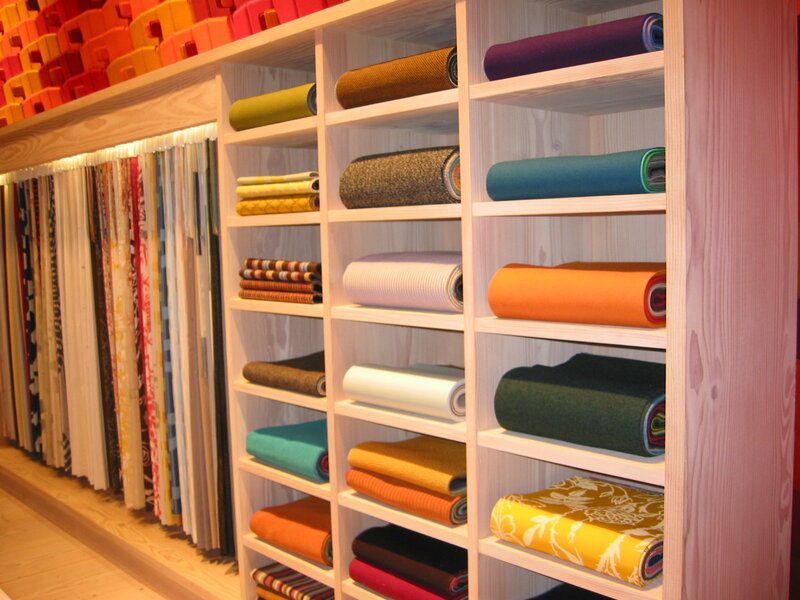 Here you see some pictures from Kvadrat A/S in Copenhagen and Stockholm. The equipment is made of soap treated Oregon pinewood. Please note the cabinet with sliding door which at the same time serves as an entrance since the acoustic wall of special fabric cannot hold a door. The counter is also made of Oregon pinewood and is covered with acoustic fabric. Our speciality is to make "room" for everyone. The picture below has been taken at Kvadrat A/S. Here you see examples of equipment for a showroom. 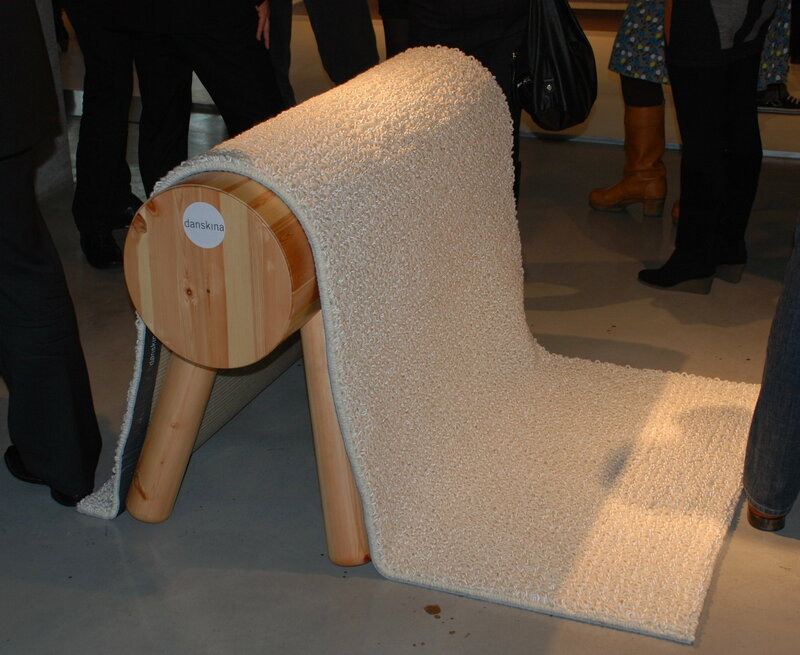 The equipment is made of soap treated Oregon pinewood which enhances the exhibited products elegantly. Below you see pictures from Danskina in Holland. The "animals" are made of lacquered pinewood and are used for exhibition of rugs in several places of the country. The "bodies" are hollow, so you can store the "legs" during transport to the next exhibition.